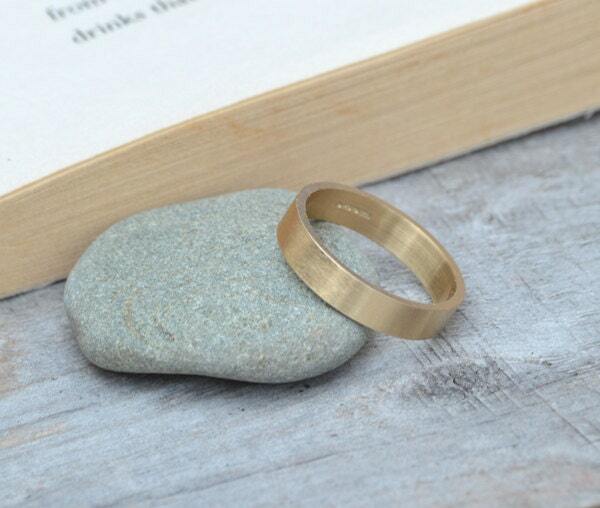 This flat wedding band is handmade in solid 9ct yellow gold in England. 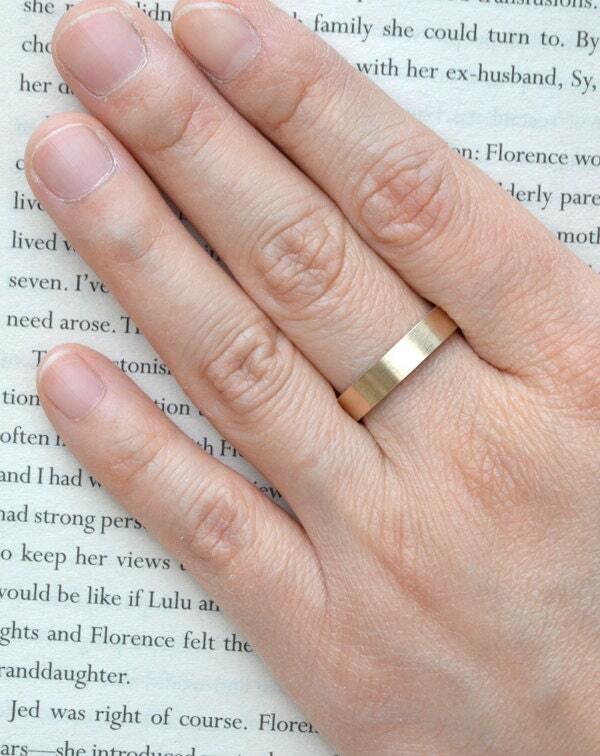 Personalized option: You could have up to 6 characters on the inner wall of the ring. 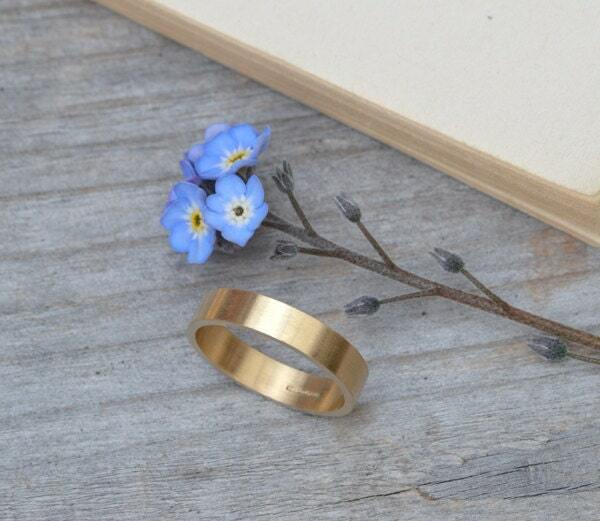 Other materials or styles are available upon request.